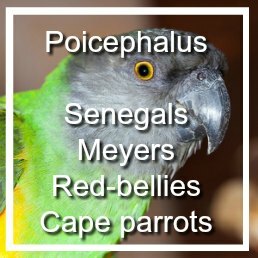 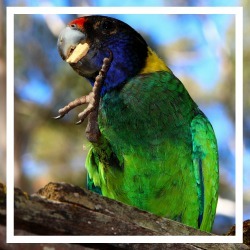 Feathered Factoid: People have 9,000 taste buds, while parrots have 350. 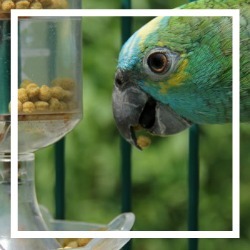 Bird food & parrot food requires a science lesson: Because birds are small and have a high need for energy they can digest food rapidly. 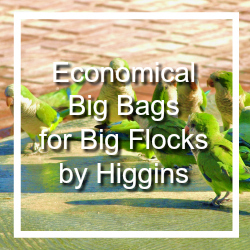 This is one reason young birds mature quickly and migrating birds are able to store fat which enable the long flights. 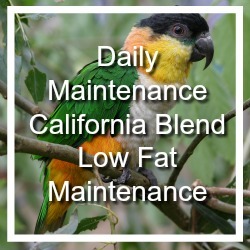 There are species of birds that are known to increase the weight 40% in 10 days. 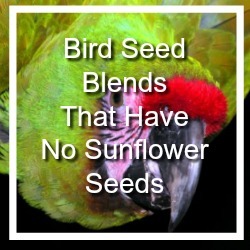 That said a seed diet is okay, just be mindful that you need to supplement with some vitamins, minerals and amino acids. 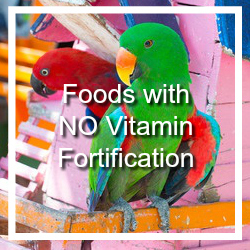 You can do this by supplementing with fresh fruits and vegetable. 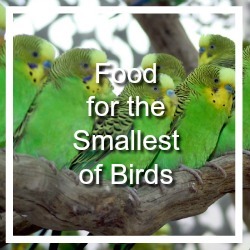 Halved walnuts for larger birds and cracked walnuts and slivered almonds for smaller birds are good source of omega-3 fatty acids. 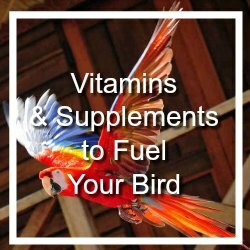 You can also simply add a commercial supplement like Prime. 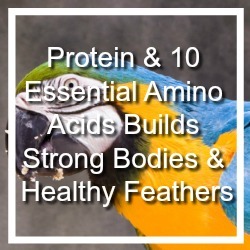 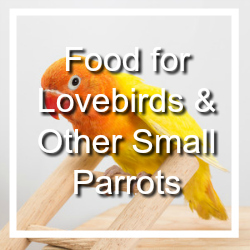 Adding a powdered supplement to your bird's food can be a challenge so here's a couple of tips. 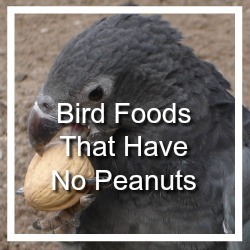 And then there are all the brands. 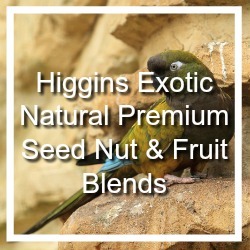 We just added our 26th brand of bird food to the website, welcome Kaylor. 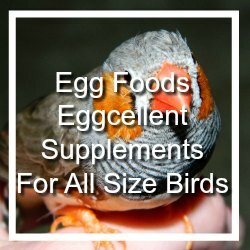 Why do we carry so many brands? 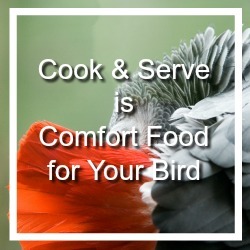 We offer everything we can based upon what you, our customer asks for. 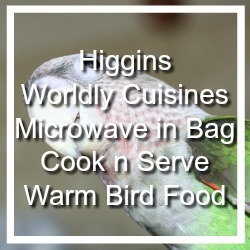 Which brand is better, that's up to you and your bird(s). 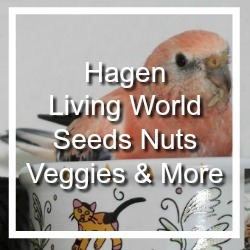 To further complicate the issue, there are brands within brands Hagen offers Living World seed blend, Tropimix which is an enrichment blend of hulled seeds fruits and nuts and other nutritious items, and Tropican their pellet blend. 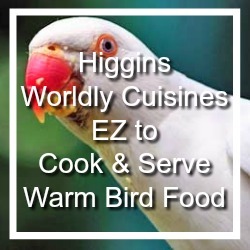 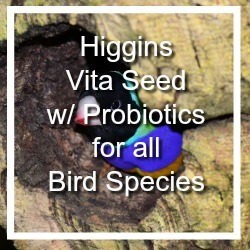 Higgins offers seven lines of food including Mayan Harvest, a natural gourmet blend of seeds fruits and legumes and exotic spices, Nederlands Vita Seed an economy seed mixture and Worldly Cuisines cooked bird food. 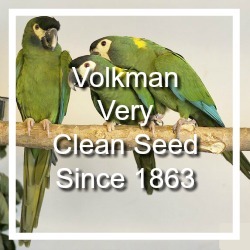 Volkman is a very popular and very clean bird seed coming in a variety of species specific blends. 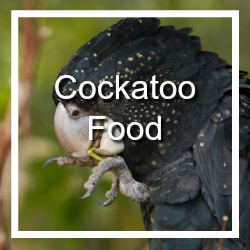 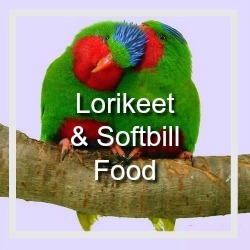 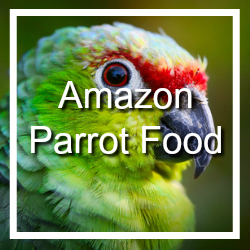 They even offer an Eclectus food (which can also be eaten by other species) which is not vitamin fortified in accordance with the most recent avian nutritional research. 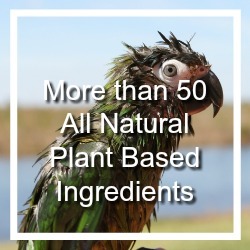 Volkman has no chemical preservatives or artificial flavors. 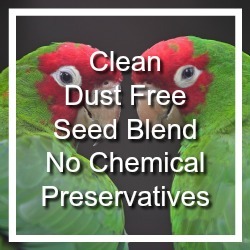 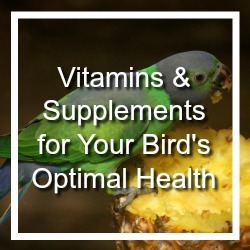 Dr. Harvey's bird food is an all-natural blend containing only human grade ingredients too. 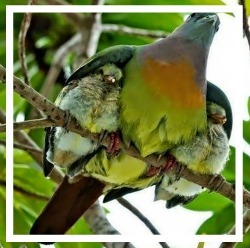 Birds in the wild are scavengers, they have to be in order to survive. 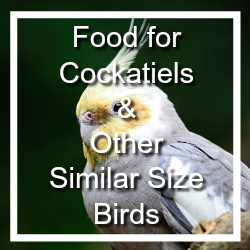 Mark Hagen says it well, "Wild animals and birds are shown by their parents the right combination of sometimes very limited types of foods to meet their requirements for flight, growth, reproduction and living! 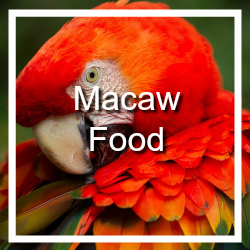 These wild food items have been selected through thousands of years of evolution. 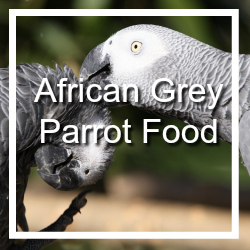 In captivity they are under different conditions and eating different foods and we expect them to select the best combination immediately. 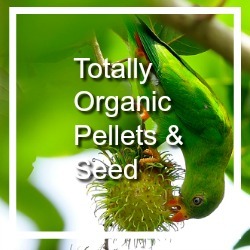 This is one of the reasons that pellets were developed. 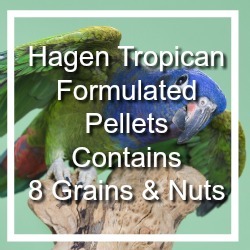 Pellets combined all the "good stuff " into one relatively neat package. 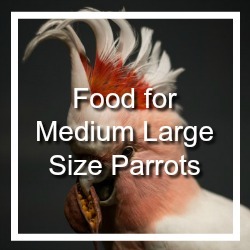 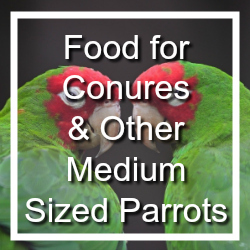 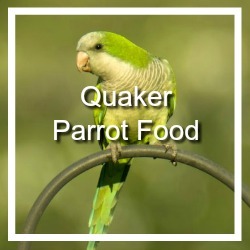 We know parrots can be picky so a dish of food where everything looks the same offers less visual temptation to remove the contents. 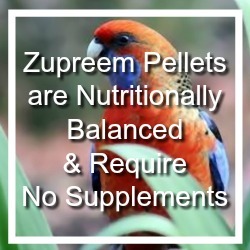 Zupreem makes pellets with colors and without. 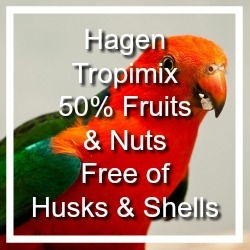 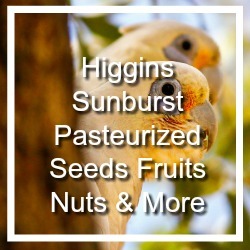 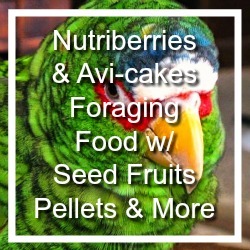 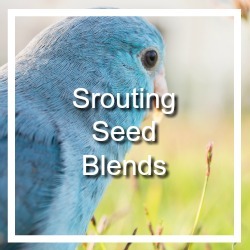 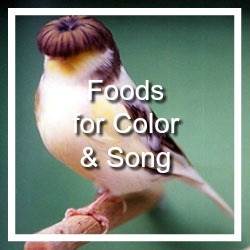 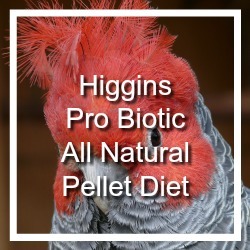 If your bird likes colorful food, Zupreem Fruit Blend, Higgins Intune or Pretty Bird Daily Select offer colorful pellets that many birds find attractive. 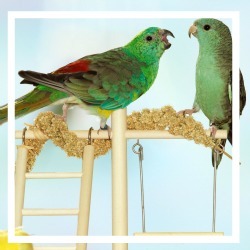 Harrison's and Totally Organics offer USDA certified organic bird food pellets. 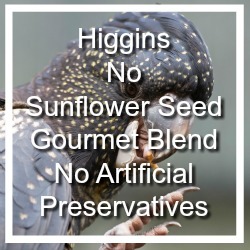 Goldenfeast bird food has no dyes or preservatives. 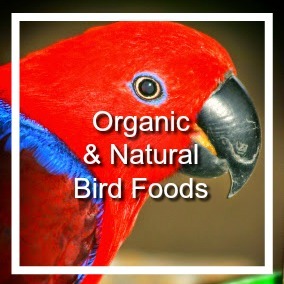 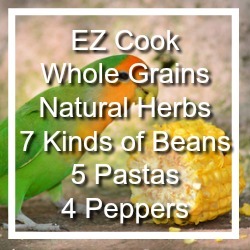 There can be benefits to these organic bird foods but just like in the grocery stores you'll find the cost of organic bird foods higher.Scenic bird food although not as well-known as the others has been around for more than 25 years and is popular in zoos and animal themed parks as a daily diet. 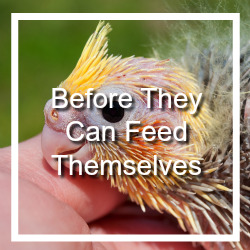 Their pellets are shaped to improve feeding techniques, ease of manipulation, and low waste. 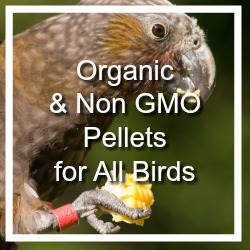 Roudybush offers pellets in several sizes and uses different fruits like dried peaches, apricots, plums, bell peppers and carrots in their California Blend as an example.